The location of Fr. Paul Kedrolivansky's skull wound, based on the surviving portion of the autopsy report. Image courtesy of Richard Green. Archpriest Paul Kedrolivansky: Dean of St. Alexander Nevsky Cathedral in San Francisco from 1870 to 1878. There was no Russian bishop in America from 1877 to 1879, so at the time of his death, Kedrolivansky was the highest-ranking Orthodox clergyman in the Alaskan Diocese. Priest Nicholas Kovrigin: Assistant priest of the Cathedral. Kovrigin was actually the founding pastor of the church, back in 1868, but Kedrolivansky was soon assigned to be dean. In what must have been an awkward arrangement, Kovrigin was made his assistant. Kovrigin was repeatedly accused of being a corrupt philanderer, and in 1879, Bishop Nestor basically kicked him out of the Alaskan Diocese. Mindeleff: Kedrolivansky’s roommate, with whom he went drinking on the night of his fatal injury. Dr. Stivers: The police surgeon. He tried to save Kedrolivansky’s life, but it was too late. He also said that Kedrolivansky was almost certainly the victim of murder, and not an accident. On the basis of Dr. Stivers’ testimony, the coroner’s jury declared the death to be murder by person or persons unknown. Vladimir Welitsky: The Russian consul in San Francisco. From the very beginning, Welitsky insisted that Kedrolivansky’s death was just an accident, not murder. He also downplayed the importance of the “$10,000 document,” which he claimed to have translated. Gustave Niebaum: Head of the Alaska Commercial Company. Niebaum’s company had previously accused Kedrolivansky of transporting contraband. After Welitsky returned to Russia, Niebaum became the acting Russian consul. He accused Kedrolivansky’s widow of having an extramarital affair, thereby driving her husband to drink and thus to his (accidental) death. Alexandra Kedrolivansky sued Niebaum for defamation of character; the case went to the California Supreme Court, and Mrs. Kedrolivansky won. Elizabeth Kedrolivansky: Widow of Fr. Paul. As I said above, Gustave Niebaum accused Mrs. Kedrolivansky of having an affair and driving her husband to drink. She later won a defamation lawsuit against Niebaum. Detective Jehu: San Francisco police detective. He was investigating the Kedrolivansky case, and found three witnesses who claimed to have seen Kedrolivansky fall and hit his head on the ground. On the basis of this testimony, the police declared the death to be an accident, and they closed the case. Chief John Kirkpatrick: Chief of the San Francisco police. Kirkpatrick wrote a letter to Consul Welitsky, explaining the conclusions of the police. Bishop Nestor Zass: Bishop of the Alaskan Diocese from 1879 to 1882. Upon arriving in America, Bp Nestor immediately expelled Fr. Nicholas Kovrigin from his diocese. In 1882, Bp Nestor died at sea. Bishop Vladimir Sokolovsky: Bishop of the Alaskan Diocese from 1888 to 1891. Bp Vladimir’s tenure was occupied by almost constant scandal. While he was nowhere near America when Kedrolivansky died, Bp Vladimir accused the Alaska Commercial Company and a man named Amosov of killing Kedrolivansky. Amosov: A mysterious man who some later claimed had murdered Kedrolivansky. It’s not clear whether Amosov even existed in reality, much less whether he was guilty of murder. Also, for the record, I am going to reprint the description of Kedrolivansky’s wound. This was printed in the San Francisco Examiner on May 23, 1889. It is all that survives of the original autopsy report. The autopsy disclosed the fact that the scalp of deceased was very thick and strongly adherent, and on the whole of the left side there was a large amount of suffused blood. 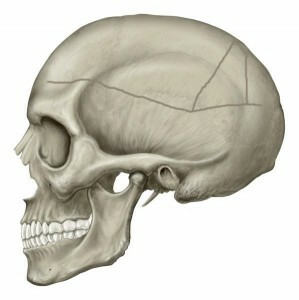 On the left side was found a fracture of the skull, commencing in the temporal bone, running upward and slightly backward into the parietal bone, being three inches in length; thence at right angles backward half an inch; thence downward and slightly backward two inches; thence at right angles forward one and three-fourth inches intersecting the first line described, leaving a detached piece pressing upon the brain. This portion of the skull was quite thin. From the point of intersection there was a fracture running across the temporal bone and ending in the median line of the frontal bone at a distance of about four and a half inches. There was also a fracture from the lower corner of the detached piece running backward across the parietal bone a distance of about half an inch. The brain directly under the fracture was lacerated and a brain clot weighing four ounces was found. The brain was in a healthy condition. Kedrolivansky’s death remains an unsolved mystery. Was it an accident, or murder? If murder, then, by whom, and why? We may never know. Thank you for this story on Ancient Faith Radio! 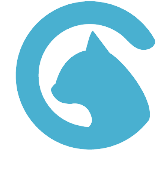 It introduced me to your site and I will be a regular visitor.